Metcheck.com - Weather News - Warming Trend This Week. 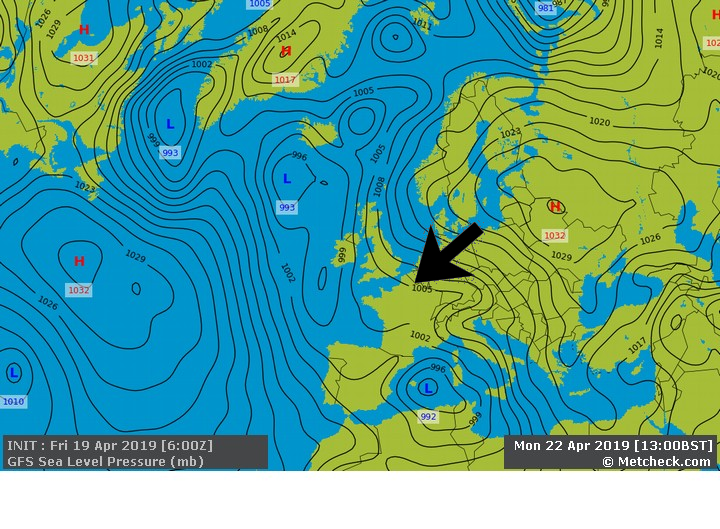 The new week is here and this shorter week will see high pressure over Scandinavia continuing to dominate but with temperatures gradually edging up as we start to import some warmer air from the near continent. Indeed, by the end of the week we are expecting temperatures into the low-twenties which makes for a very promising outlook for the Easter weekend. Back to this morning and it is once again a frosty start to the day across inland regions of the country but there will be plenty of sunshine around, especially across central regions, and for most places it will be another dry and bright day with temperatures rising a touch higher than recent days to maximums of 13°C to 15°C. 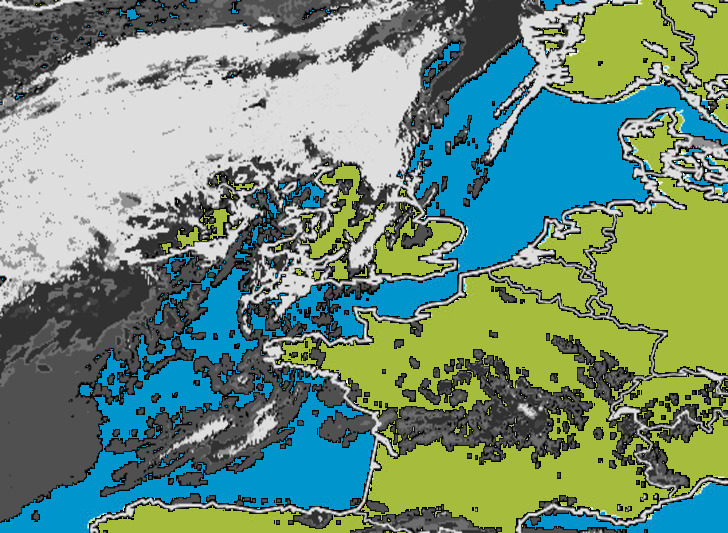 However, towards eastern and north-eastern regions of the UK, skies will be cloudier with a few scattered showers blowing in off the North Sea at times whilst the onshore wind will keep temperatures rather subdued with maximums of 9°C or 10°C. Meanwhile, for many parts of Ireland, Northern Ireland, Wales and southwest England it will be a mostly cloudy and rather windy day with spells of rain affecting the west and southwest, the rain heaviest and most persistent across southern parts of the Republic of Ireland. Very little changes tonight with the far west and southwest remaining wet and rather windy as that rain only slowly edges a little further north and east later in the night. Elsewhere and it will be a mostly dry night bar the odd shower, but it won't be as chilly due to more of a breeze and variable amounts of cloud. Tomorrow sees cloud and rain affecting parts of Northern Ireland, eastern Ireland, Wales and southwest England before edging a little further north and east into parts of Scotland and southern England. 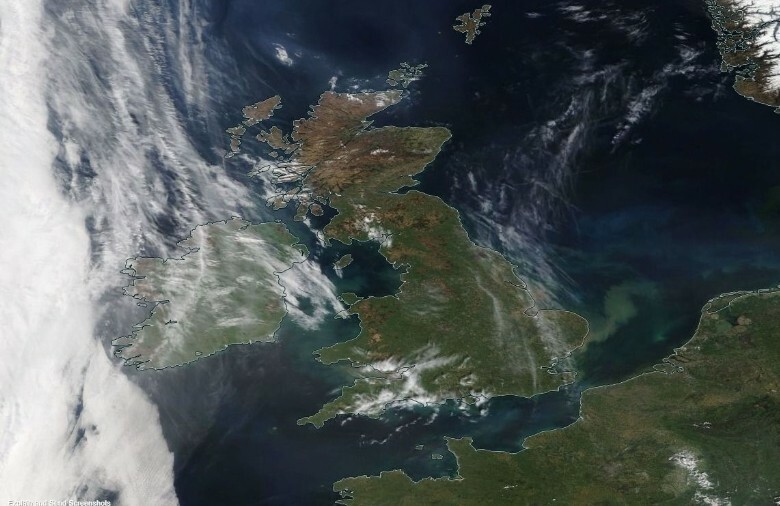 It stays drier and brighter elsewhere but with often large amounts of cloud drifting around whilst temperatures will be a degree or so higher for many.